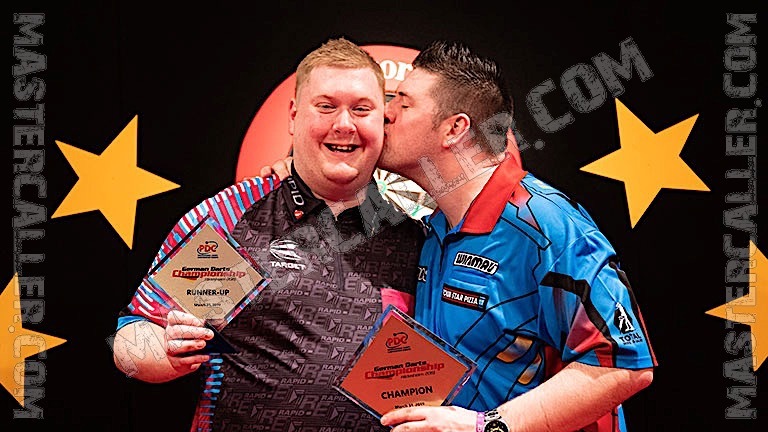 The eighth edition of the German Darts Championship was held from 29 to 31 March in Halle 39 in Hildesheim. For the seventh time, a new name wins the cup. This year Daryl Gurney is the best in Hildesheim. He beats Ricky Evans in the final 8-6. The Northern Irishman consecutively beats Andy Boulton, Rob Cross, Stephen Bunting and Adrian Lewis en route to the final. Evans wins against Robert Thornton, Mensur Suljovic, Mervyn King, Gerwyn Price and Keegan Brown. Gurney takes a 5-1 lead in the final, but sees Evans coming back to 6-6 before winning the last two legs. It is the first victory for Gurney on the EuroTour, Superchin is the 25th player to win on the EuroTour. For Evans it is his second EuroTour final, he is still waiting for his first victory. James Wade throws a nine-darter in his first game against Darren Webster, a game that The Machine loses by the way.